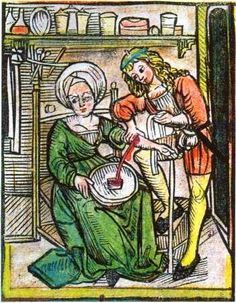 Bloodletting seems a distant absurdity to us and yet, just a few hundred years ago, we lost George Washington because he trusted its rhetoric over logic when he agreed to it as treatment for a nasty cold. With only a few quiet voices protesting the countless deaths caused by bloodletting, the practice continued well into the 20th century. Today’s bicycle helmet promotions and laws hold an alarming resemblance to the pronouncements used by the bloodletters. When an illogical practice is presented as the only means of safety and dismissal of the practice is equated to certain death, even the most brilliant leader can succumb to its absurdity. While many studies have shown that bicycle helmets do little to prevent major head injuries beyond minor skull fractures and lacerations (Curnow 2001), a few poorly executed, misleading studies are the only ones to have reached mainstream distribution. The most common bit of jargon of them all is that “cycle helmets prevent 85% of head injuries and 88% of brain injuries” when in fact, where helmet use is high, there has been no detectable reduction in head injuries. See this link for a good overview: http://www.cyclehelmets.org/1027.html . Bicycle helmets may provide some protection against minor skull fractures and lacerations, but they do not prevent major brain trauma that happens within the skull. In fact, because bicycle helmets are soft which increases friction in certain crashes, unlike motorcycle helmets, some studies have shown that they can cause neck and brain injuries from rotational motion (V J M St Clair, B P Chinn. 2007). Bicycle helmets can be a good choice for someone concerned about minor head injuries as long as they understand their helmet’s limitations for preventing major head injuries, not unlike choosing to wear knee pads and gloves. However, some studies have shown that helmeted bicyclists take more risks than those not wearing a helmet (Pless IB, Magdalinos H, Hagel B. 2006). Thus, whenever a potential helmet benefit is mentioned, the potential of a helmet causing neck and brain injury, as well as this risk compensation, must always be included for bicycle helmets to be presented in a truthful light. Let’s replace our helmets with thinking caps. If we can agree that increasing bicycling is in the best interest of our people and our planet, it’s time to shift our promotions and policy efforts away from the illusion of safer crashing and into reshaping our communities into places where everyone knows the safety of bicycling.